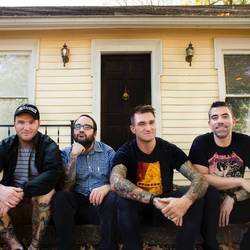 New Found Glory have released their new music video for "Barbed Wire" which appears on their 2017 album, Makes Me Sick -- out now on Hopeless Records. You can also find a deluxe version of the album, Makes Me Sick Again, which was released earlier this year. Video after the jump. The band has also announced that they'll be heading into the studio to record From the Screen to Your Stereo Vol. 3 this Fall.